Working together to make a difference in lives of children in Ethiopia. A native of the Netherlands, Dr. Koning received his MD from the Free University of Amsterdam Medical School before moving to the United States to complete his surgical residency at the Albert Einstein School of Medicine in New York City. As a young man, he had a keen interest in tropical medicine, so after his residency program, Dr. Koning took a year off to visit tropical countries to gain firsthand knowledge about their medical practices. With more than 25 years experience in asset management, Monica O’Neill was a Senior Partner in Tristan Capital Partners where she led the client relations team in successful fundraising campaigns that totaled over €3.5 billion that brought the firm’s asset under management to €7 billion. Additionally, she directed all global marketing and communications across the eight European locations of the Tristan business. Today she serves as a Senior Advisor at Tristan. Dr. Sternfeld received his medical degree and his PhD at Oregon Health Science University. He was an intern and completed his residency at Providence Medical Center in Portland, Oregon. Dr. Sternfeld is board certified in Internal Medicine and a certified FACP. Dr. Sternfeld has a special interest in comprehensive adult medicine. He enjoys combining the art and science of medicine to educate patients and assist their personal path towards good health. Leah is a freelance video journalist with a background in mainstream media. She is currently working in Ethiopia and internationally with the ReachAnother Foundation, to document their work with children with hydrocephalus, spina bifida and autism, and to produce fund raising and training films for medical professionals and other interested parties. A distinguished professor of history for more than 30 years, Patricia earned her BA in history at the University of Pennsylvania; a MA in history from the State University of New York at Buffalo; and her PhD in history from the University of Washington in comparative Chinese-European History. Lewis J. Sperber comes to the board of ReachAnother Foundation with a strong background in both business finance and as a practicing attorney. A native of New York City, Lewis earned his BBA degree in Business Administration from the City College of New York, and his Juris Doctor degree from the Brooklyn Law School. David Morrissey is the former Executive Director of the United States International Council on Disabilities and has 15 years of leadership in the nonprofit disability advocacy and services sector, and over 20 years in organizational management. He has presented and provided trainings in countries around the world and is an an experienced facilitator of consumer dialogue, consensus processes, and stakeholder coalition building. In 2011 he served as private sector advisor to the United States' official delegation to the United Nations periodic review of the U.S. human rights record. Shanda has been a small business owner and event planner in Central Oregon since 2004. She studied Animal Behavior at the University of California at Santa Cruz, spent 3 years abroad involved in study and travel, and then several years in rural Alaska learning about the culture and environment of native species. Shanda is new to ReachAnother Foundation, and embracing the opportunity to experience yet another country and culture. John is a professor of Physics Emeritus, and former Vice President at University of Oregon with responsibility for most internal operations at the University. Prior to joining UO, he was a Research Physicist at SRI International, and has over 100 publications in Physics, as well as numerous grants and contracts supporting his research. 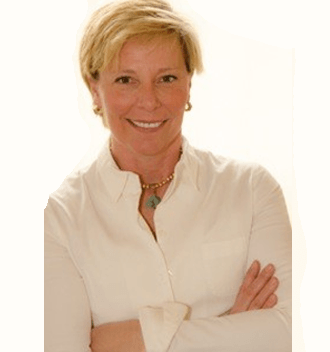 Joanne Mathews graduated from UCLA with an Economics degree and began her career in residential property management. After her next stop in corporate recruiting, she went back to school, earning her MBA from UC Davis, emphasizing marketing and market research. Then she landed enjoyed 17 years at Schwab in a variety of positions, most recently as Chief of Staff to the President of Schwab Institutional, and as National Vice President of the Schwab Advisor Network. Joanne lives in Bend, Oregon with her handsome and reasonable husband Nelson and their two oddly funny children, Casey and Theo. They all share responsibility for their brilliant Cockapoo, Buffalo, and their exceptionally friendly kitty, Ira. Chloe joined the ReachAnother Foundation in 2016 as Executive Assistant. Chloe is a native of Normandy, France. In 1999, Chloe graduated concurrently with a Bachelor’s degree in European Sales and Marketing from Leeds Metropolitan University and a degree in Sales and Marketing from the EM Normandy Business School, in France. Prior to joining the ReachAnother team, Chloe had a decade of working in the non-profit sector; she was a marketing assistant at the High Desert Museum, in Bend; she held a variety of positions for the Deschutes Children’s Foundation, from administrative assistant to events and communication coordinator; and similar positions for the Environmental Center and Commute Options, also in Bend. She and her husband live in Bend, with their two children. Chloe likes to cook, travel, hike and camp.